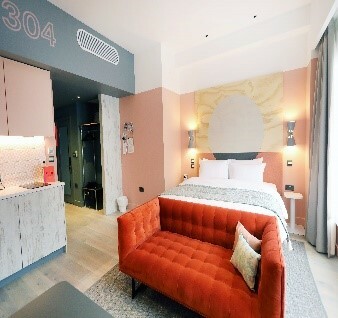 Award winning Southampton bar and restaurant, The White Star Tavern and Dining Rooms launched its new stylish look in autumn 2007 with the much anticipated unveiling of 13 individually styled luxury guest rooms and contemporary redesigned bar and restaurant, located on Oxford Street. 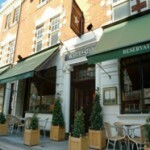 Offers: bar and restaurant. A 17th century old coaching inn located on the high street in the city centre. 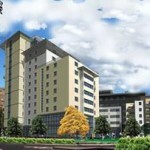 The hotel has recently completed a £4 million redevelopment project. Situated above Ennios Ristorante e Bar Italiano, this historic Victorian building has lent itself perfectly to both the creative design and lavish furnishings. With each room taking on its own unique identity, they are everything you would expect from a 1st class personally run Boutique hotel. 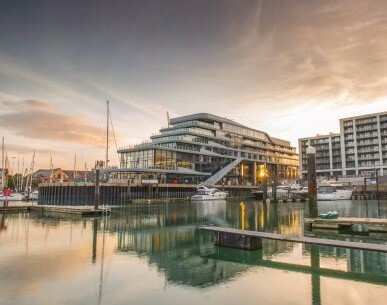 With its attractive location on the south coast, this impressive, modern hotel provides magnificent views over Southampton’s historic Old Walls, Mayflower Park and the waterfront. Located opposite the waterfront and Mayflower Park, facilities include a restaurant, 24 hour Room Service, relaxing lounge and bar area and complimentary use for residents of the Spirit Health Club with fully equipped gym, indoor swimming pool, jacuzzi and sauna. Positioned in the heart of Southampton, within easy reach of many local attractions and only minutes from Southampton city centre. 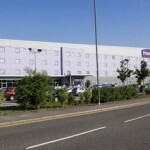 This hotel has excellent transport links, just 2 miles from Southampton Docks and 8 miles from Southampton Airport. 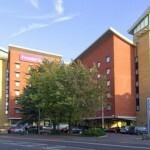 Centrally positioned overlooking East Park, Jury’s Inn Southampton offers guests excellent 3-star comfort in the heart of the city centre with bar and restaurant facilities on site. 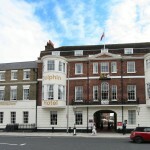 In the centre of Southampton, close to West Quay Shopping Centre, the business district, the port and the theatres. Opposite West Quay shopping Centre and close to the waterfront. Relax and enjoy the restaurant, room service, bar, indoor heated swimming pool, gym and sauna. 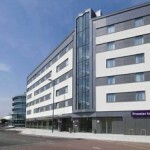 Our Southampton West Quay Premier Inn has everything you’d expect, incredibly comfy beds in every room and an integrated restaurant serving a mix of traditional and contemporary dishes. 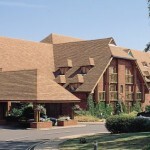 Our hotel is a great option for those seeking accommodation with strong transport links on the south coast of England. Lovers of marine history can take a trip to the nearby Sea City Museum to learn about Southampton’s connection with the Titanic. 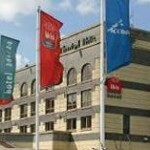 Ideal for exhibitors and visitors with transport, the hotel is a warm and welcoming modern hotel well known for its friendly atmosphere. 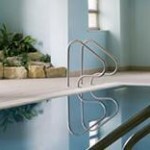 Unwind in the wooded landscaped gardens of the Hilton Southampton Hotel, whilst staying make use of the spa, swimming, dining and bar facilities on site. 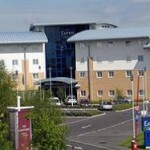 Located right by Southampton International Airport and Southampton Parkway train station. 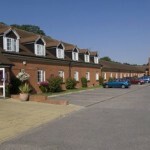 Within easy reach of the M27, this hotel is well situated for both business and leisure guests. Conveniently located half a mile from the M271, which connects to the M27. Southampton train station is just 3 miles away and for shops and local amenities it’s 4 miles to Southampton City Centre. 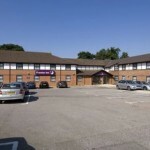 The Express by Holiday Inn Southampton West Hotel is located at junction 1 of the M271 (off junction 3 of M27), an ideal base for both exhibitors and visitors with transport. 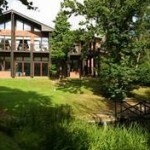 An Edwardian manor house set in 12½ acres of landscaped grounds, this hotel has a beautiful sweeping woodland entrance, peaceful surroundings, award winning spa facilities, stunning gallery bar and the manor house restaurant on site. Positioned within easy reach of the M3. 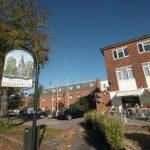 For shops and local amenities Eastleigh town centre is only 1 mile away and it’s just a 20 minute drive to Southampton. Conveniently located for Eastleigh’s train station. 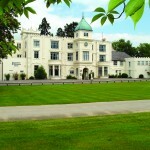 The Legacy Botleigh Grange Hotel is situated in an idyllic location, 1 mile from junction 7 of the M27 motorway. This traditional Hotel is set in stunning grounds with two lakes. 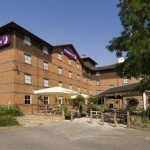 The Express by Holiday Inn Southampton – M27, junction 7, adjacent to the Rose Bowl – Home of Hampshire Cricket, is conveniently located for both inbound and outbound passengers using Southampton Airport. Set in 176 acres of verdant parkland with an 18-hole championship golf course, this modern hotel boasts tennis courts, and indoor swimming pool and a beauty spa. 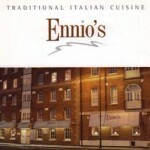 A first-class combination of traditional style and excellent service. The Solent Hotel & Spa has earned its place as one of the region’s premier business hotels. Located at junction 9 of the M27. 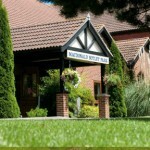 Located within easy reach of the M27. 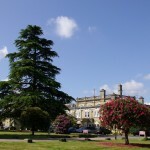 Local attractions include Paultons Park – which includes Peppa Pig World, Southampton Docks, the New Forest and Beaulieu National Motor Museum. 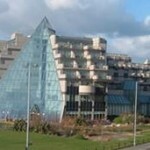 The West Quay shopping centre and Southampton Docks are a short drive away.